tvOS-X is a fork of SiO2 v4.0.5 Big thanks to Fastcolors! tvOS-X is not an exact ATV4/tvOS clone but it is very similar. The default colors are Blue/Black if you prefer a ATV3/tvOS clone then please use the White or Dark theme. If you like this skin please +1 ! If anyone has any ideas on how to get the ATV4 navigation sounds let me know please. does it has touch support for tablet & smartphone? Yes it should, some features may not though. In the future I will add a noshelf mode for touch devices. I think the "one more think" would be if there are more tvOS like whether-icons. The actual icons are great for the old Apple TV style but the new tvOS is very, very clean. Very nice, i'll give it a try this evening. I never was a real fan of the apple tv gui, but this one is really beautiful. Repo is empty for me (Look and feel). Anyone else? For some reason i had to do a fresh Kodi install. Now it works! Thanks. Damn this skin is freaking amazing. I have been very envious of Apple TV users because of the style but the box is too locked into Apples ecosystem for my needs but this is perfect. Using the thin text is there supposed to be a transparent line where the text at the bottom goes over the posters? I'm glad everyone likes the skin. I need everyone to post bugs please!!!!!!!! If anyone is wondering why the skin is default black theme, this is to respect Fastcolor's future work. I'm sure most people will use the White theme but I don't want to disrespect Fastcolors work. Fastcolors deserves just as much credit, all I did was finish what he had already. I'm sure when he is done his Sio2-ATV4 branch it will be better than this skin. @TheLegendOfMart what Kodi version are you on? I thought I have fixed that on the Isengard & Jarvis versions but if your on Krypton I need to port everything over the x.9.10 updates still. (2016-04-13, 09:22)iRubin Wrote: Looks really cool. Forsure, if you or anyone can try and fish some files from tvOS for me that would be great! (2016-04-13, 22:29)iCanuck Wrote: I'm glad everyone likes the skin. I need everyone to post bugs please!!!!!!!! Ok. Here is one (not realy a bug): the line with the heading e.g. 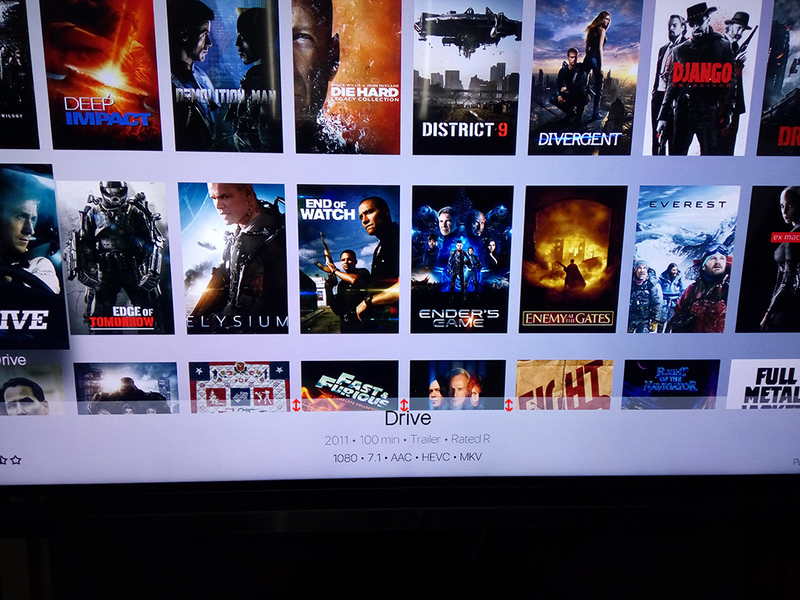 "Recently added movies" and the time/date is not in the same line. And the OSD for the movie/series-info is not aligned. I'm not at home so i post a screenshot later. Ah sorry yeah I'm using Krypton.